Please welcome the newest HomePath listing to the neighborhood. Situated with it's on backyard paradise, this four bedroom, three full bathroom updated mid-century block home is ready for your personal touches. The spacious house at the end of a quiet cul-de-sac is great for a boater. The dock is on a calm inlet of Boca Ciega Bay between The Narrows of Redington Shores and Madeiras Tom Stewart Causeway, just a few miles to the gulf via Johns Pass. Enjoy about a half mile walk down the avenue to the beach or to catch a trolley and enjoy the lures that Sand Key has to offer. 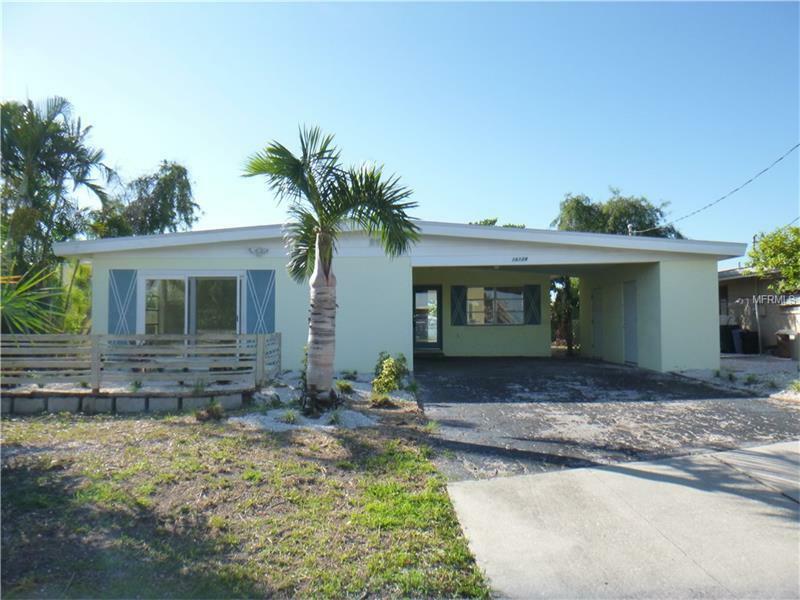 The home features bright terrazzo floors, updated sliding glass doors, new deck, top slats of dock, and more! This waterfront Fannie Mae HomePath Property wont be around much longer, so see today!